In recognition of the holiday, this article is the last installment of four published in February 2013 highlighting my favorite love stories put to celluloid in the 21st century. The title of director Michel Gondry’s Eternal Sunshine of the Spotless Mind is derived from a line in the Alexander Pope poem “Eloisa to Abelard”- a reference to the ill-fated lovers of lore (who also made an appearance in Being John Malkovich (1999), the first film to be adapted from a script by screenwriter Charlie Kaufman). In the portion of the poem recited in this film, Eloise’s relationship with Abelard has become so tragic that she wishes that she could simply forget the whole business – literally. This is the conceit explored by Gondry and Kaufman (sans the genital mutilation). 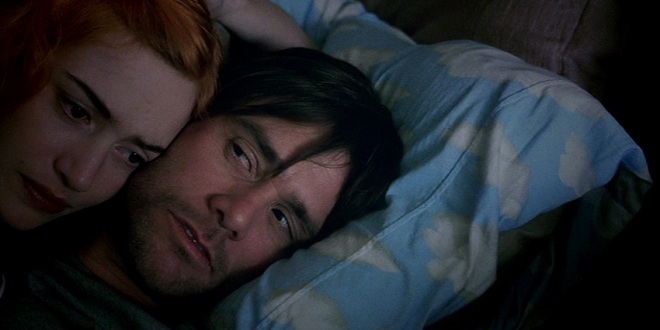 Instead of the threat of vengeful family members, Eternal Sunshine of the Spotless Mind deals with the everyday slings and arrows of human contradiction by combining one part romantic comedy, one part romantic drama, one part science fiction, and one part – well, for lack of a better term, Charlie Kaufman. At the beginning of the film, we find the relationship between our introverted protagonist, Joel (the surprisingly understated Jim Carrey), and his free-spirited lover, Clementine (Kate Winslet), on the rocks. Joel is shocked when he visits Clementine at work in the hope of reconciling only to find that she no longer recognizes him. That night, his best friend, Rob (David Cross), confirms his suspicions. 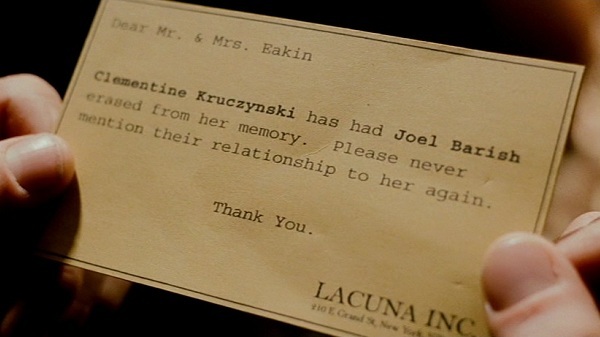 Eventually, Joel visits the office of Lacuna, Inc., and after being convinced of the selective efficacy of their unique procedure, he decides to remove Clementine from his memory. Much of the film takes us through the extraction of those memories from within Joel’s own mind – a process which proves to be sad, painful, humorous, poignant, and even a touch creepy. In the midst of Gondry’s kinetic pseudo-documentary style, a simple beauty belies the visuals – particularly in those transitions where memories are lost and recaptured. The use of 21st century special effects appears to be minimal (at least on the surface). Much of the magic of the mind is conveyed through techniques that rely upon illusions of lighting and perspective – some of which stretch back into the era of silent film. And these choices give the film a certain timeless quality. In the midst of all of this, another story develops involving the messy relationship between the scientist behind Lacuna, Inc. (Tom Wilkinson), his technician (Mark Ruffalo), and his receptionist (Kirsten Dunst). As well-conceived subplots go, this intermittent respite from the journey through Joel’s mind not only feeds the main narrative, but it also explores the film’s primary conceit from a different angle. 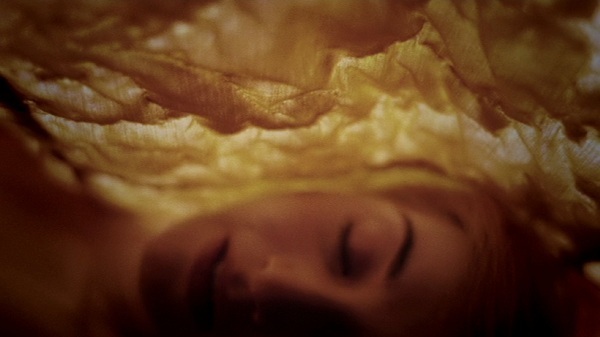 The first dose of Eternal Sunshine of the Spotless Mind may induce disorientation. Certain sequences will appear out of order. But upon reflection (and perhaps multiple viewings), the decision of Gondry and Kaufman to sacrifice a chronological plot for the sake of character development will make sense. After all, if love is not a timeless product of fate, it is certainly cyclical. Hi! I have really enjoyed reading your blog. Glad to have stumbled upon it! 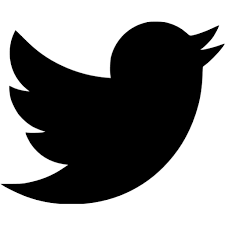 I’m trying to find an email address to contact you on to ask if you would please consider adding a link. Thanks and have a great day!